Among the biggest roadblocks to company growth is a lack of revenue or cash flow to spend on what’s working- the customer demand. Chances are, there may be excess inventory in slow selling pockets of the business, along with the inventory carrying costs associated with it. Perhaps the company struggles with determining the drivers of their business, instead focusing on the wrong things. A forecasting system can help a company clarify the problems within their business and provide a roadmap to improving their operational performance. 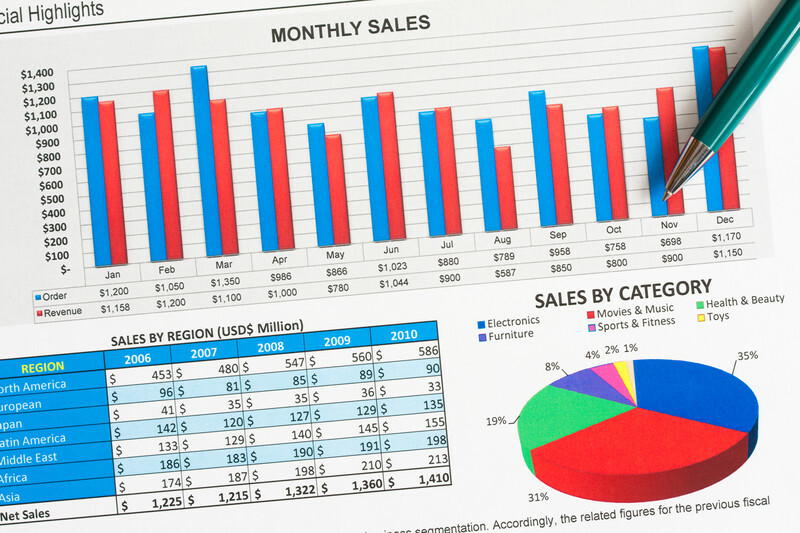 [basic-code] ™ has helped many companies improve their KPI’s with its Sales Analysis and Forecasting Tool©. One client of [basic-code] ™ had a severe overstock problem. Merchandise had been allowed to build up over the course of several years. Old styles were not liquidated before new styles were purchased. Some of the old styles had only minimal sales for several years. [basic-code] ™ was able to help the company clarify and categorize their data. A new product hierarchy was developed which gave the company visibility to which categories and attributes were performing well and which ones needed to be cleaned up. It also gave the company clarity in where they were over-assorted. The merchandise was categorized in an ABC format according to Revenue and Margin performance. From there, the company could determine which items were candidates for liquidation. By using the Sales Analysis and Forecasting Tool©, the planners at the company were able to forecast the sales of all the items, determine profitability and devise a plan for the items. The company was able to optimize the inventory, only carrying enough inventory to cover the sales that were forecasted to occur over the vendor lead-time of the item. The company reduced its SKU count by 50%, which led to a 64% reduction in the cost of inventory. The company saved over $1,000,000 in their first 18 months of use of the Sales Analysis and Forecasting Tool© due to the reduction in inventory and associated carrying costs. The reduction in inventory allowed the company to free up cash in order to invest in more profitable merchandise to continue to grow the business, along with other company initiatives. Once a company’s data is loaded into the database of the Sales Analysis and Forecasting Tool©, a company is able to see all of the vital information in one convenient location, the user interface. Planners are able to focus on KPI’s and quickly isolate problem areas or items whose information looks suspect. By having the visibility to data organized in this manner, one of [basic-code] ™’s clients was able to realize $20,000 in tax dollar savings due to an overstated inventory position. [basic-code] ™’s Sales Analysis and Forecasting Tool© also provides its clients with KPI visibility of the different accounts and channels in which the company sells. One channel may have much higher profitability than the others, so a company may decide to prioritize selling in this channel. Or the planner may discover that the margin for one account is much lower than it should be. One client found that one of its best-selling items was priced incorrectly for one of its largest accounts. By having the data laid out in this manner, this client was able to discover the problem quickly and remedy the issue. Companies can efficiently strategize and make decisions to maximize profitability. The Sales Analysis and Forecasting Tool© provides exception reporting to alert planners of priority items. Opportunity items are those items whose forecasted sales are greater than the amount of inventory on hand and on order. Liability items are items whose inventory levels are greater than its forecasted sales. By knowing which items to focus on, planners can make strategic decisions quickly and efficiently. Due to the efficiencies of the Tool, one client who budgeted to add to their planning staff, discovered they did not need to, thus saving annual planner salary costs. [basic-code] ™’s Sales Analysis and Forecasting Tool© has provided its clients with insights into sales trends very quickly. By getting early reads on an item, one client was able to essentially buy all of the production of the item and was able to control the pricing in the marketplace until the vendor was able to produce more. Because of the competitive advantage [basic-code] ™’s forecasting tool provided, this item was the clients #1 item for the year in both Revenue and Margin.